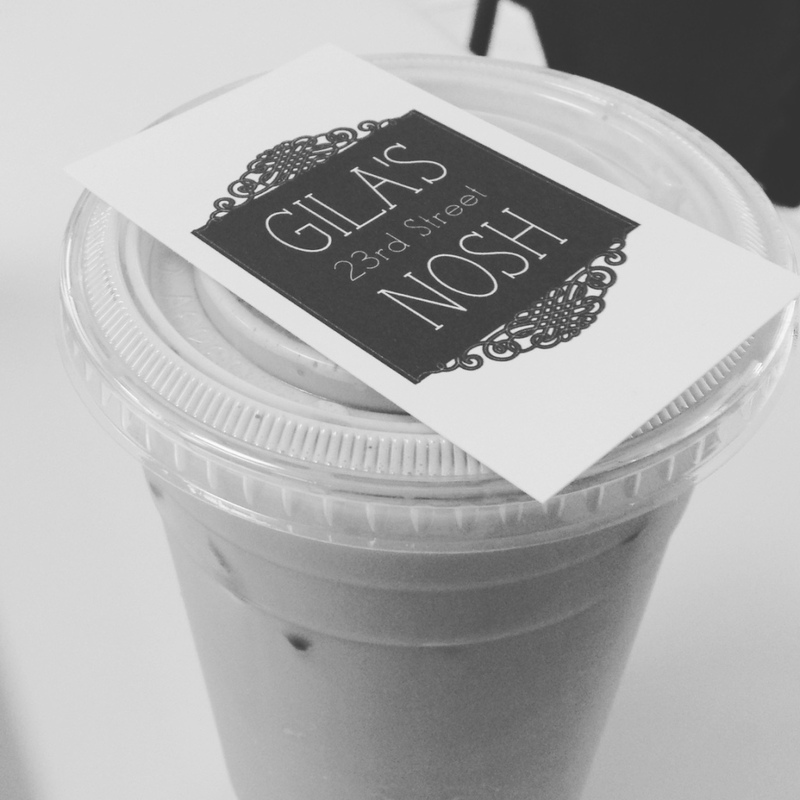 Last month when I had worked near 23rd street, I would frequent a cute little Mediterranean cafe called Gila’s Nosh. This was a lovely little nook, tucked away between 3rd and Park. The owner is this sweet grandmother of a lady who made home-cooked cuisines from her country of origin, Israel. She described her country as a melting pot of various Mediterranean, Middle Eastern flavors, which is the type of food she serves. I instantly fell in love with the place after I had tried Gila’s Spinach Boureka (savory pastry stuffed with spinach and feta) and Tomi’s Upside Down Coffee (creamy iced coffee with beans roasted “upside down”). Bourekas are quite an international food, with variations in many Eastern European countries. 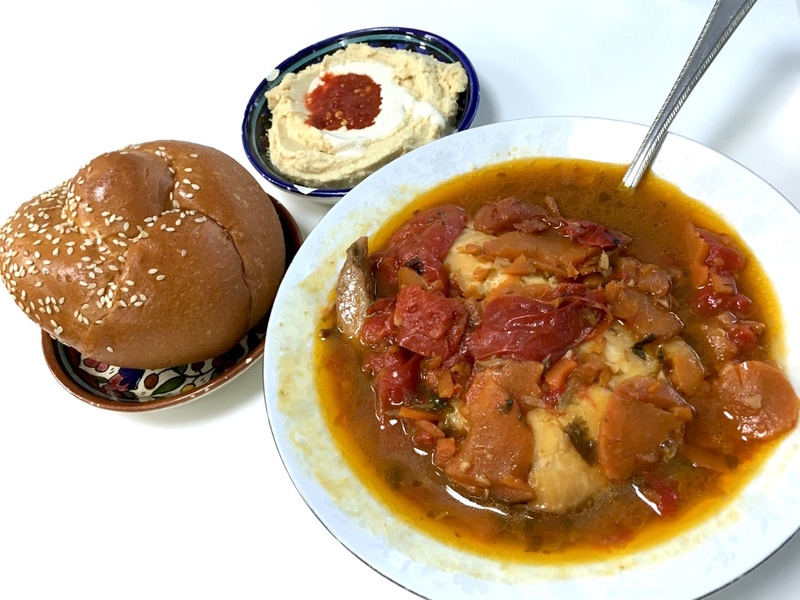 This dish originates from the Borek, a cuisine of the Ottoman Empire and Jewish communities. For this to have survived so many years of traditions must have meant it was delicious to so many people in the world. And indeed, this was super-delicious! 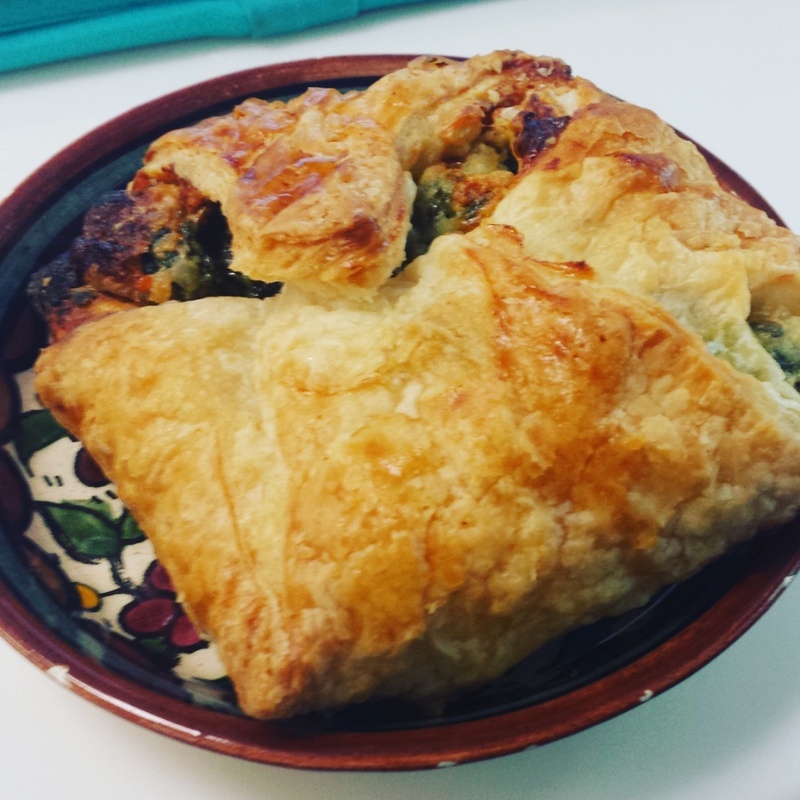 Puffy, crispy pastry wrapping a delicious salty-cheese, spinach filling. Yum! 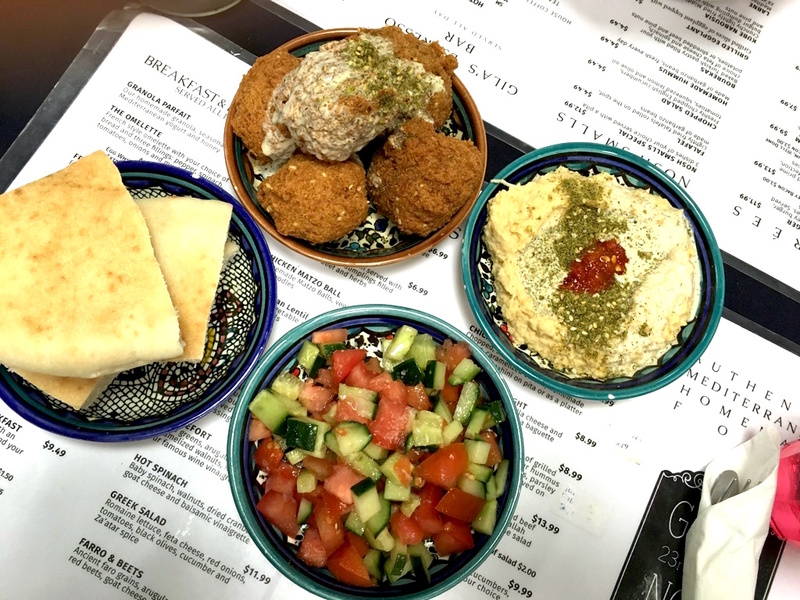 The Three Noshes at Gila’s was the best appetizer deal on the menu. I would frequent this cafe with friends during lunch hour, and we would get the try the various little plates here. I love hummus. 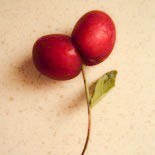 It is one of my favorite foods ever, and Gila’s tastes especially unique. 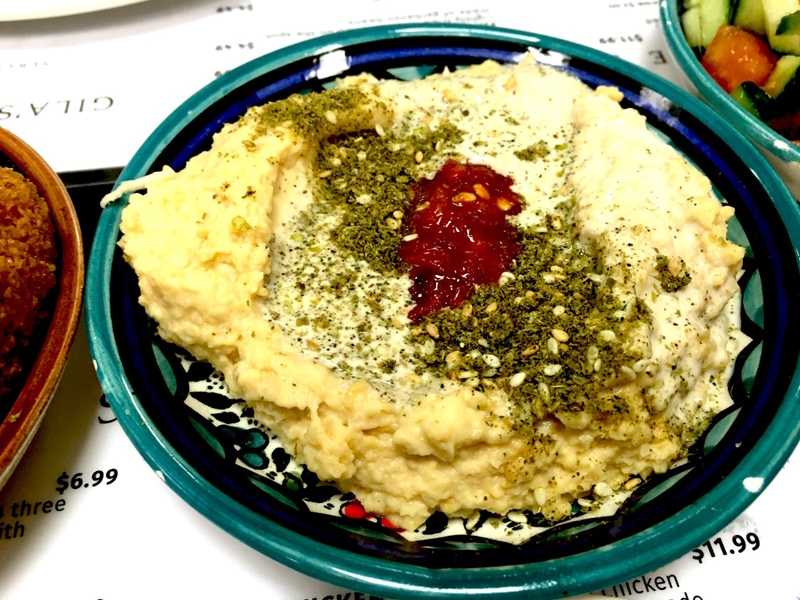 I love the variety of tahini, spices, and hot sauce that season the hummus. The amalgam of flavors in the creamy chickpea mixture perfectly pairs the pillowy pita (freshly baked of course). The falafels here are lovely as well. They were crispy and hot, with gooey chickpea mash inside. Drizzle a little tahini, pile on some hummus, and these make a substantial and nutritious protein-packed lunch. Initially, my favorite drink here was the Upside Down Coffee. (I had gotten it 3 days in a row.) But one day upon Tomi’s recommendation, I tried the Moroccan Mint Tea, and I found a new favorite. I know I’m always professing my sophisticated taste in coffee, but deep down I’m a tea drinker. I grew up drinking Chinese loose tea with my parents, bubble tea with my friends, and herbal or orange tea with myself (when I’m sick). 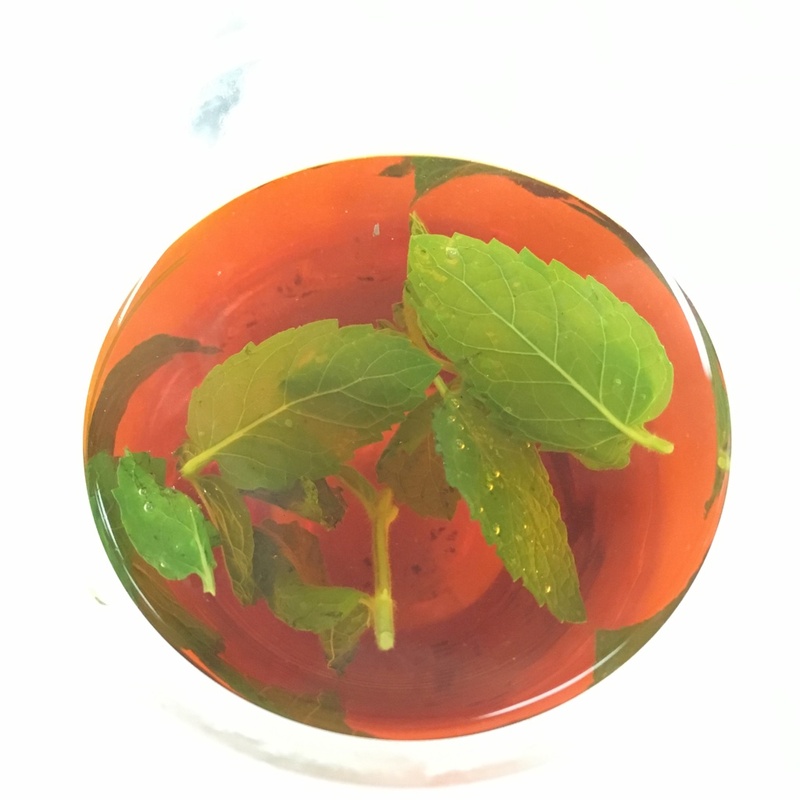 The Moroccan Mint Tea was perfect; the refreshing herbal scent of the mint, the mild sweetness of the honey, and the subtle earthy, fruity taste all help to relax the mind. My initial motivation to visit Gila’s is to use her free wifi to do work… With action-packed days and the bustle of the city, Gila’s Nosh served as a quiet sanctuary to relax and get business done. Not surprisingly, the wholesome food and hospitable people here really grew on me. 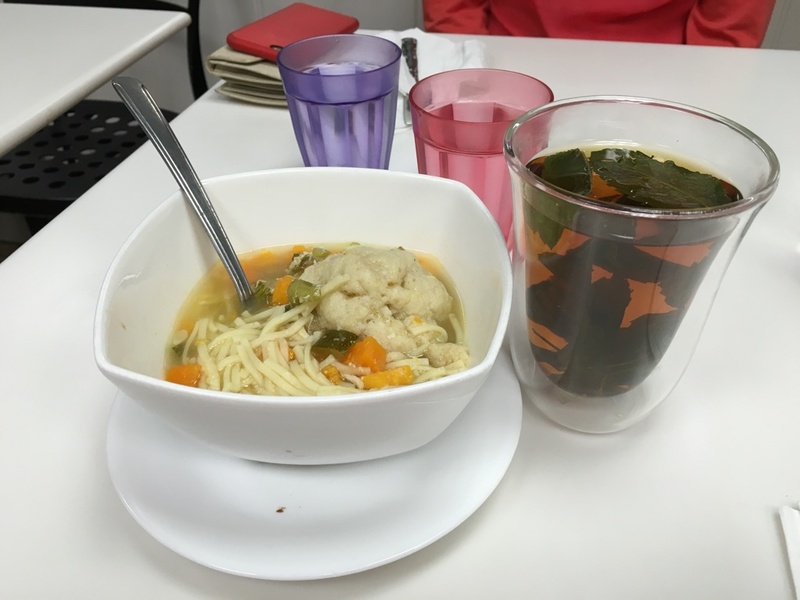 Once when I was feeling sick after work, I stopped by for some Matzoh Ball Soup. On my last day, I had a feast of Moroccan Fish with challah bread and hummus. I remember the mild spices, tomatoes, carrots mixed in the broiled fish. What I really liked about this dish was the simplicity of flavors. There were no complicated spices or strong tastes in this dish; rather the tart tomatoes, sweet carrots, and savory fish formed a natural combination of flavors. This is most definitely Israeli mom’s home-cooking. 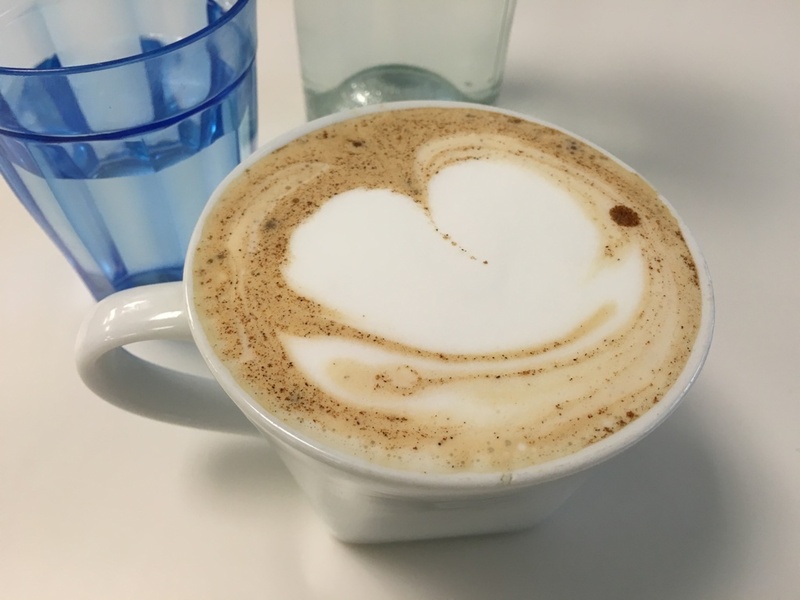 And a Cinnamoccino coffee for dessert. But the best dessert here is definitely the baklava; it’s the most authentic I’ve had in a long time! Everything at Gila’s just emanated with comfort and care. I had some rich conversations and shared bright smiles in this cute little cafe. They definitely do treat you like family here, so that each visit feels like coming to a home. 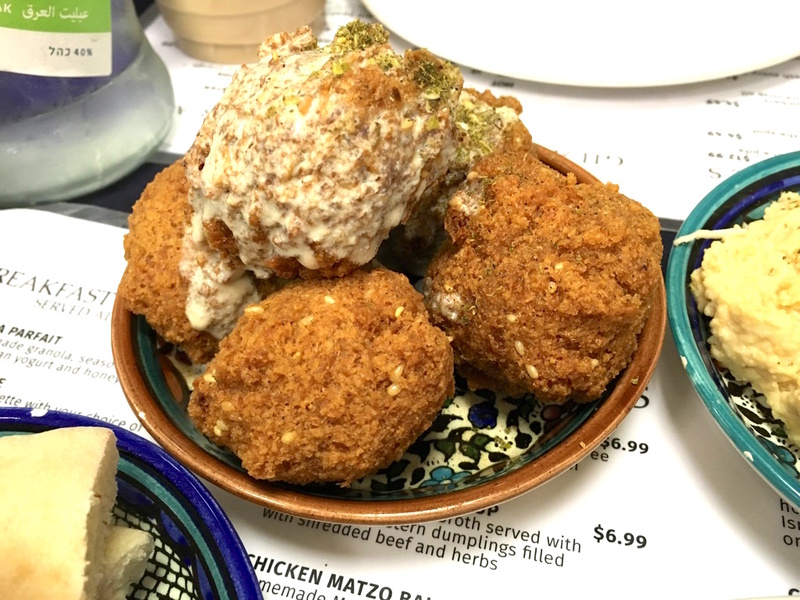 This entry was posted on November 12, 2015 by bubblepeachtea in NY:Manhattan:Gramercy Park and tagged baklava, boureka, Cafe, coffee, falafel, fish, Gila's Nosh, hummus, Israeli, matzoh, Mediterranean, Middle Eastern, Moroccan, tea.